I did like watching the parade of fashion on Sunday though and was impressed by some bold statements. Half-shaved heads on women, pastel-coloured shades on men; I enjoyed the simplicity of some styles. The secret seems to lie in looking effortless and strangely natural. It should literally be picture-perfect. You know it is time for the shell-suit. I nearly fainted on the spot. But now, with the Eighties revival nearly over ( time to get over the Big Shoulders and the Top Gun Jackets…) and high-tops already very clearly on the fashion radar – it’s a little bit like computers, if they make it into magazines it is almost over – the question lingers: Will shell suits be back? The Shell suit so much is wrong with it, not to mention health and safety hazards with those highly inflammables, I can only ask you to boycott them. Please remember like double denim: just because it works on the billboard doesn’t make it right. 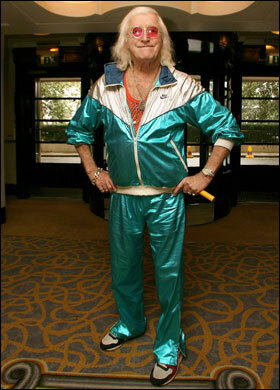 Lord Almighty, the shell suit. I hope it bombs. NOOOO RACHEL NOOOOO! I will not allow you. Aw, but Dude, I really think I could pull it off!